The Jordaan is a very pleasant area of Amsterdam. It’s the place to go if you want to take a bit of a time-out from the bustle of the centre and escape the tourist crowds. 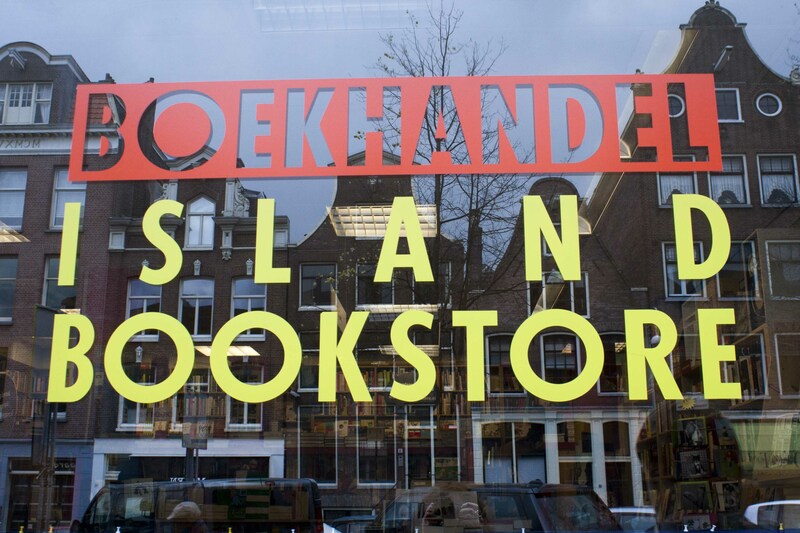 Before arriving in Amsterdam, I had heard of a wonderful bookshop in the area called Island Bookstore. On my first day, armed with a map and camera, I embarked on a quest to find it! Island Bookstore has been open for nearly 30 years and I can see why it does so well! 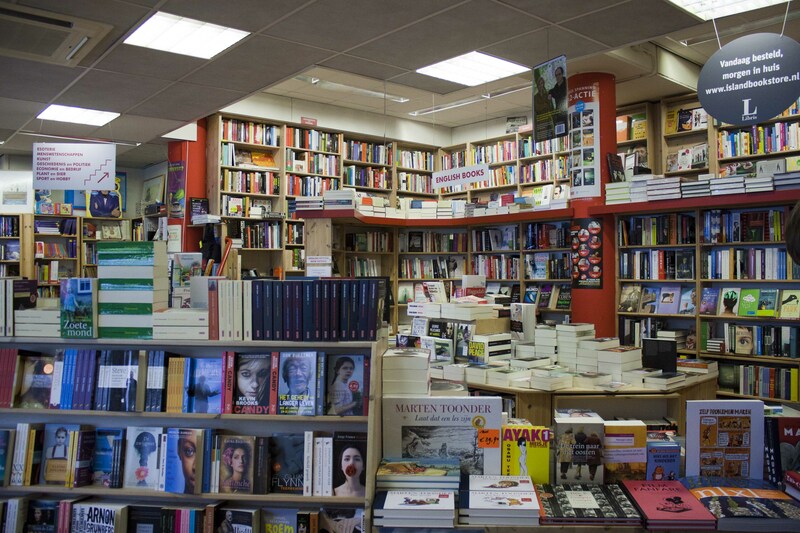 The shop itself is clean and orderly – unlike the nearby Lont Antiquariaat there will be no getting lost behind tottering stacks of books here. It doesn’t lack character though. There are posters placed neatly on the walls, signs everywhere pointing you in the right direction and a striking colour scheme of red throughout. At the back, there is a raised section with more books and a mouth-watering view over all the books on the ground floor. 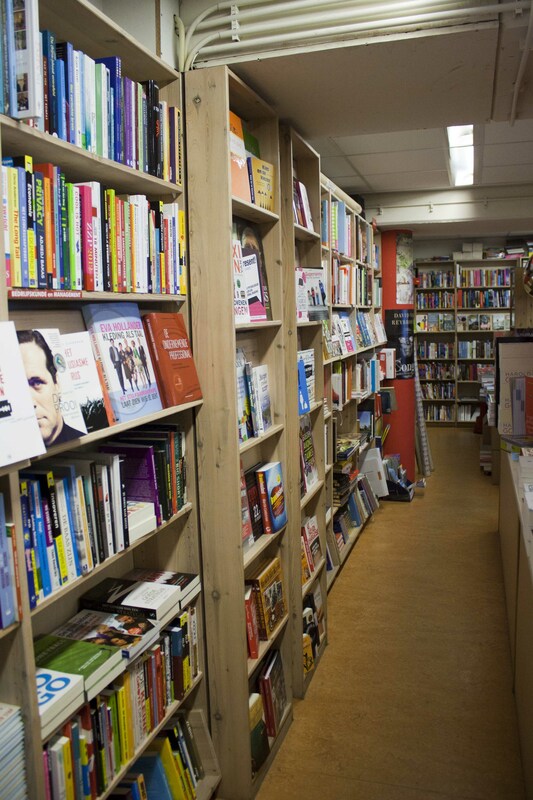 This bookshop sells new books in Dutch and English. 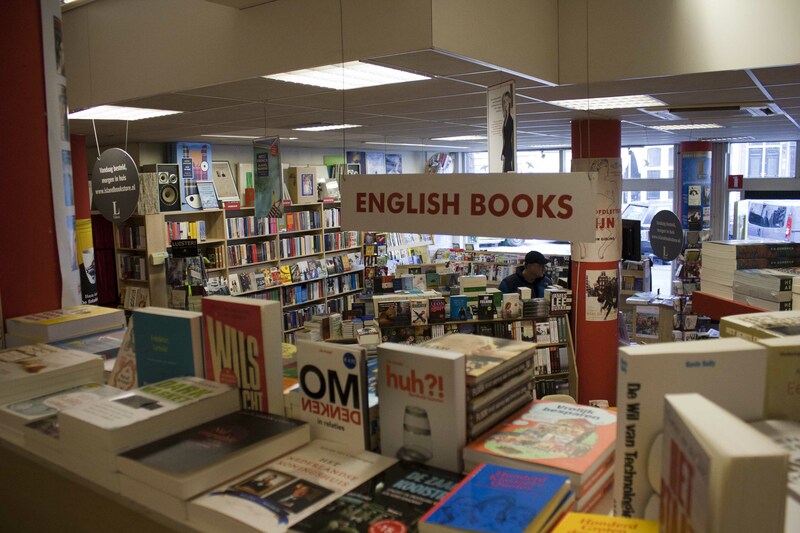 If you are looking for an English book, the prices are as you would expect; between 8.50 – 12 euros. The English corner has a good selection of new releases and old favourites. I didn’t stay long in the English section though, as I was eager to explore the rest of the shop. Filled with eye-catching display tables and well organised bookshelves, it was nice to walk around this shop, even though most of the books were in Dutch. If I did speak Dutch, I would be in heaven! Island Bookstore seems to stock every type of book you could possibly imagine! Downstairs is a mixed bag of bestsellers, general fiction and other non-fiction. In one corner, there is a lovely and colourful children’s section complete with a selection of games! Upstairs, I found books on art, politics, sport, travel and much more. Books are not the only thing on offer. Scattered about the shop, you can find some arty greetings cards and tasteful postcards. By the door there is also a large selection of newspapers and magazines. 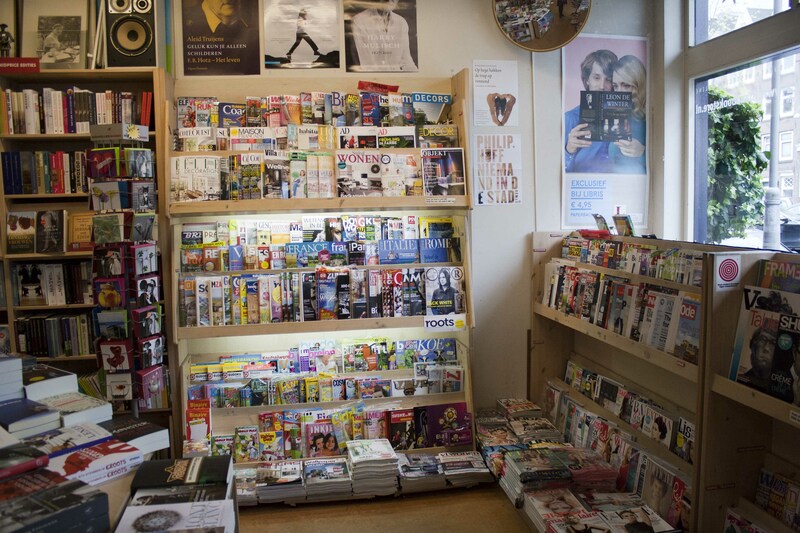 Wherever you are from, you can keep up with the news from your country or buy your favourite magazine. Whatever you are into – fashion, music, travel, lifestyle – there is something for everyone here! Island Bookstore is a great place for ex-pats. In fact, if I were to move to Amsterdam, I think I would quite like to live nearby. It’s a lovely area and it would be perfect to have a bookshop like this in my neighbourhood! Unfortunately I didn’t buy anything, but the man behind the counter was friendly anyway, giving me a warm welcome and a goodbye smile. Take a look at their website too! Looks like a great place. I love that you describe a view of books as ‘mouth-watering’, that’s exactly how I feel! I was considering changing that word but then realised that all book lovers out there will understand exactly what I mean!